You able to experience the brilliance of the festive season, where else but at the world's fourth largest mall, 1 Utama from 28 November to 28 December 2014. With the Christmas Day peeking right around the cornet just few weeks away, 1 Utama will be warming the hearts of many with its lovely Yuletide Celebrations again this year. I been told there will be performance that going on too. 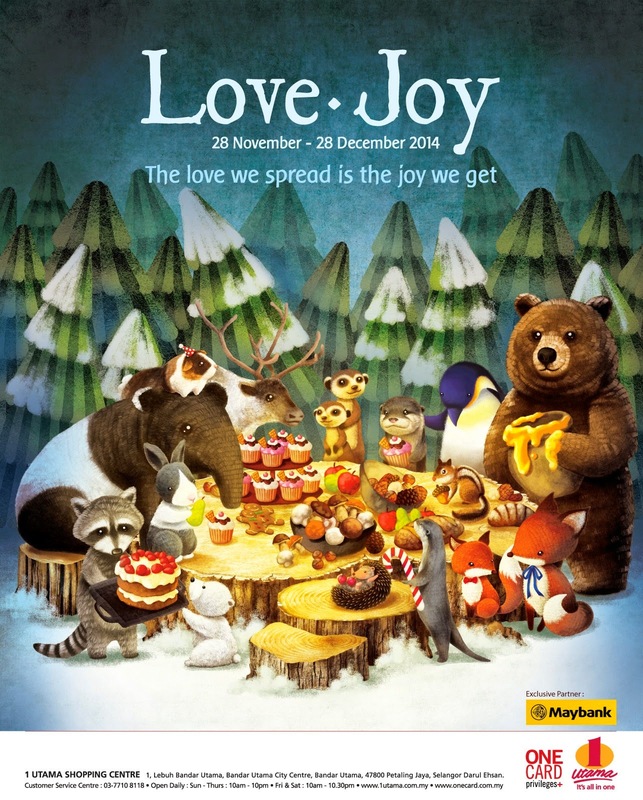 "A Rustic Woodland Christmas - Love & Joy" , a family of furry friends will grace 1 Utama to accompany visitors. This will be the main theme for the this awesome performance. With this, it is really able to make this year Christmas more meaningful. 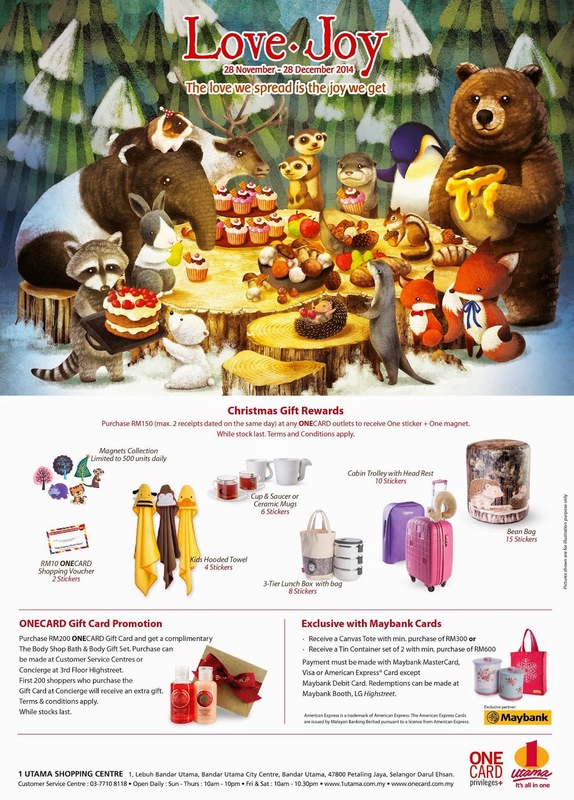 1 Utama's exclusive Christmas Partner Maybank is also giving away a Canvas Tote when you make a minimum purchase of RM300 or a Festive Tin Container set with a minimum purchase of RM600 by using Maybank MasterCard,Visa or American Express excluding Maybank Debit Card. Once you done purchasing, you able to redeem at the Maybank Booth on the Lower Ground Floor Highstreet. There is some photo that I took during the performance at 1 Utama. It is really interesting, meaning, and I'm sure that you and your family members, friends, and partners will enjoy it too. We are one of the selected Butterflies. Time to open our present! What types of animal you able to recognize? Christmas shopping is a convenient and fuss-free experience for shoppers at 1 Utama. This is because there will be a dozens of inspired gift ideas available around the mall, including over 700 retail shops in 1 Utama. In additions, you also able to share your memories moment at 1 Utama by sharing your picture through any of your social platform such as Facebook, Twitter, Instagram and others and please do not forget to hastag 1UtamaChristmas2014 | #1UtamaChristmas2014.